Drive-Thru is the food and drink section of Gapers Block, covering the city's vibrant dining, drinking and cooking scene. 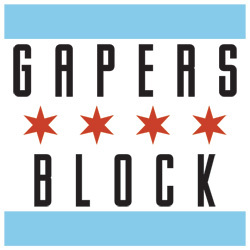 Contact the staff via email at drivethru@gapersblock.com. Jen has never met a vegetable she wasn't interested in eating. Despite being an omnivore, she mostly cooks vegetarian meals and believes real cooks can make a great dish without relying on meat. Outside of the kitchen, she enjoys going to local comedy shows and concerts, as well as biking around the city looking for dive bars. She was born and raised in northeast Ohio, and thanks her grandmother for feeding her so much local produce as a child. Christina spiraled all over the Midwest (Iowa, Nebraska, Minnesota, and Wisconsin) before settling down in Chicago because she loves skyscrapers and lakes. She also loves food and booze and maintains a good meal with a good glass of wine is one of life's greatest pleasures. You can check out her wine blog and follow her on Twitter. Annie is a Chicago native and hopelessly over-ambitious home cook. By day, she is a professional nerd, by night, an amateur wine sniffer, collector of obscure trivia, life coach to her canine sidekick, and devoted Chicago hot dog enthusiast. Annie also maintains that oven fires are a natural side effect of cooking with gusto. Jessica works at a small Chicago publisher. She also writes and edits in her free time. Her current interests include drinking good coffee, reading good books, and trying every offering of panang curry in the city. Follow her on Twitter at @jeasto. Brandy originally hails from south Louisiana and is a true bred and born Cajun, so she knows a thing or two about food. A career that started off in dance meant she was also a server at many places in Chicago. She decided to check out that 9-5 thing and got into marketing, and then decided that she should do the MBA thing as well. When she's not writing about all things food in Chicago, she's musing on ideas in business and marketing on her blog, Better Spoon. Andrew works deep into the night at his West Ridge two-flat, writing and editing and playing with the cats. He spends more time online than is healthy; follow along at me3dia.com. 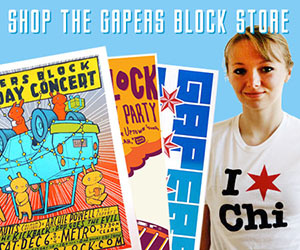 Email him at ah@gapersblock.com. Jeanne Newman is a huge foodie and a fan of theater and dance. With a professional background and a masters degree in the arts, she is delighted to be part of both the A/C and Drive-Thru teams at Gapers Block. Her past work has been published nationally in Bust, the Chicago Not-For-Tourists Guide and A Field Guide to Gay and Lesbian Chicago. Locally, she has written for Windy City Times, Nightspots, dykediva.com, centerstage.net and many others. Her poetry work appeared in Windy City Queer and she has toured and performed all over the country as a live lit and poetry performer. Jeremy grew up in the rice fields of Stuttgart, Arkansas (the rice and duck capital of the world) but claims naturalized citizenship in Chicago. He came to the Windy City a few years ago to earn his MFA in acting at Roosevelt University and in spite of the cold has yet to leave. In his free time Jeremy hosts and produces an ongoing live-lit show known as You're Being Ridiculous. He lives in Rogers Park with his husband and their dog Sally Field. You can follow Jeremy on Twitter @jeremyashley or find him at jeremyashleyowens@gmail.com. Danielle Snow is a recent college graduate whose primary motivation is making sure that she, as well as others around her, are constantly well-fed. She currently works cooking delicious food in a local Chicago restaurant, and recycles her paychecks directly back into the food industry by eating out as frequently as possible. Her patron saint is Anthony Bourdain, although she vehemently disagrees with his stances on vegetarian food and karaoke (they are both so, so great). Judy is a Texan native who left a life of lassos and shotguns to attend Northwestern University in Chicago. When she's not foraging for plants or running along Lake Michigan, she's probably eating or working on her blog, the Hungry Learner. Alan has been a professional chef for 25 years and has won numerous awards, professional competitions and distinctions. He's mainly consulting now, setting up projects like kitchen design, menu development, hiring and training staff, research, etc. He has also been a professional musician most of his life, coining the term "jazzfood" to describe "solid technique based upon tasteful improvisational skills." Just like the music. Check it out at alanlake.com. Christian, an artist, photographer and builder of things, works for a small gourmet bakery in Evanston, bringing sweet goodies to the masses in various coffee shops in and around Chicago. In his downtime, he makes "stuff for people who like stuff" and keeps a blog about his varied interests in design and things with wheels.